Side note: “Malva” is taking on her own relationship with me. She is feeling appreciated in a new way. I feel so blessed to already have an abundant food crop growing. While, these might be known as invasive plants. I am realizing they could sustain my entire being quite nicely. Diffuse Dayflower (Commelina diffusa): With green pointy leaves and greenish stems with red dots, Diffuse Dayflower is a common emerged plant in wetlands. It grows by the roadside and on the edge of water bodies. It looks like ordinary weeds, but in fact its pretty little blue flowers bloom from May to November every year. These blue beauties are pleasing to the eyes, and the juice of their petals can be used as an artist’s paint. MASI, Ghana–Known as “climbing dayflower” and African tulip tree, two Ghanian herbs from the Ashanti tribe’s traditional medicine chest have proven useful in wound healing due to antioxidant and antimicrobial actions, according to a recent study published in the Aug. 14 issue of Phytotherapy Research (Epub ahead of print, 2006). Researchers from Kwame University of Science and Technology tested methanol extracts of Commelina diffusa (dayflower) and Spathodea campanulata bark, finding both showed selective antifungal activity against Trichophyton species–which commonly causes hair, skin and nail infections. The extracts also reduced the peroxidation of bovine brain extract and exhibited antioxidant activity, protecting MRC-5 cells (secondary human lung fibroblasts) from hydrogen peroxide-induced oxidant injury. However, the extracts displayed no inhibition of NF-kappaB (even at higher concentrations). The scientists concluded the antioxidant and antimicrobial activities suggest that the use of these plants in wound healing may be based on the antioxidant and antiseptic effects of its constituents. Botany: Alikbangon is a mucilaginous, slender, creeping or ascending branched perennial herb, usually pubescent. Stems root at the nodes. Leaves are green, oblong-lanceolate, 3 to 7 cm long, 1 to 2 cm wide, pointed at both ends. Inflorescence is axillary and peduncled. Flowers are cymose, enclosed in a complicate leaf-like spathe, with free margins. Cymes are usually 2 in each spathe, and are few-flowered. Inner petals are larger, blue, 6 to 7 mm long, and the outer ones much smaller, pale or nearly white. Distribution: Common throughout the Philippines in open grasslands and waste places in settled areas at low and medium altitudes. Properties: Tasteless, cooling natured. Febrifuge. Rubifacient. Entire plant in decoction is used as an emollient, eye-wash and is also employed to combat painful discharge of urine, diuretic. Good blood coagulant, antifebrile and antidote, tonic for the heart. : Edibility In India young stems are steamed and eaten as vegetables. Young leaves used in fresh salads or boiled with butter. Small blue flowers and tender flowering tops can be steamed or used as salad green. Folkloric · For all kinds of fever symptoms due to infection: get drug (dried preparation 9 to 15 gms, 30 to 60 gms fresh material) boil to a concentrated decoction and drink. · Bruised plant applied to burns, itches and boils. · Mumps: get fresh plant, crush and squeeze out the juice, then drink. · For poisonous snake bites: get fresh plant, crush, squeeze out the juice, then drink. This drug must be accompanied by an antidote preparation applied on the bite. · Used for difficult urination, acute gastroenteritis, erysipelas, laryngopharyngitis, tonsillitis, colds. · Used for external wound bleeding. · Dosage: for 4 to 8, use 30 to 60 gms dried material or 90 to 120 gms fresh material in decoction; pounded fresh material may be applied externally as a poultice. · In the Gold Coast, the leaves are pounded with the seeds of Leea guineensis and Piper nigrum, made into a poultic and wrapped in a heated plantain leaf and applied to relieve swellings of the groin. · In Nigeria, taken as aperient. Decoction used for fevers. Leaf-infusion used as eyewash. Root decoction used for gonorrhea and dysmenorrhea. · In Sierra Leone, plant used as wound dressing after circumcision. · In Congo leaf-sap used for abscesses, buboes and headache. Leaves believed to be aphrodisiac. · Carribean Indians have used the plant in medicinal baths and as tea to ward off influenza. · In Mexico used for treatment of conjunctivitis, dermatitis, and dysmenorrhea. · In Paraguay used for enteritis, gonorrhea and infertility treatments. · In Ecuador and Peru decoction of tiny blue flowers used as tea for relief of headaches. · In the Guianas juice from the whole plant used in a decoction against warts. Infusion used against hair loss, fever and biliousness. Juice drunk for high blood pressure. In NW Guyana, used for biliousness, hair loss, kidney disease and for cleansing of the wombs and tubes. • Dye: Petal juice used as dye for painting. • Fodder: In some parts of Africa and Asia, used as fodder for small livestock. In Maritius, contributes to the diet of dairy cows. 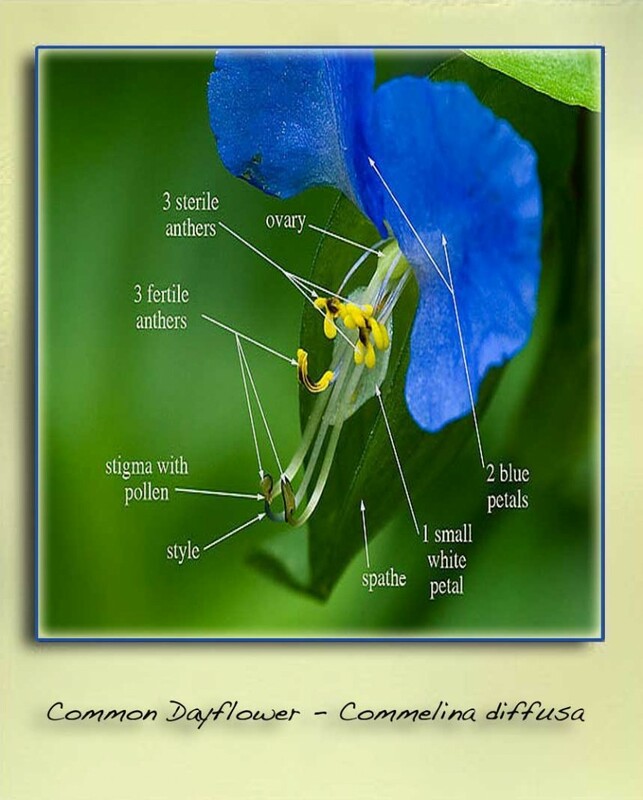 · Antioxidant / Antifungal: Commelina diffusa ais used as a wound -healing agent in traditional Ghana medicine. A study on the methanol extract of Commelina diffusa showed antioxidant and antifungal (against Tricophyton species) activity confirming its wound healing benefits. · Antioxidant / Antifungal / Wound Healing: Study of methanol extracts showed antioxidant activity and antifungal activity against Tricophyton species. The use of plants for wound healing may be based on antioxidant and antiseptic effects of its constituents. 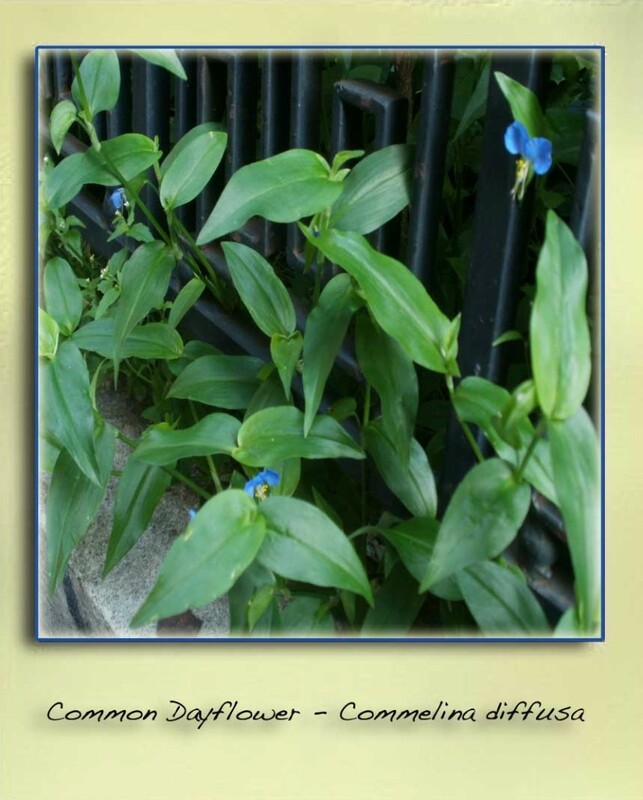 From Commelina diffusa a tisane is made to treat high blood pressure and bladder infection. A suppository of the stem lubricated with castor oil (Ricinus communis) is used infants move their bowels. The plant is fed to chickens and rabbits and the sticky juice was once used by school children for glue. zeb gwa is also used with the juice of a yellow lime (Citrus aurantifolia) (peel it first) as a wash for vaginal rashes. The species is distributed in the pantropics and subtropics including Bangladesh, Bhutan, China (Guangdong, southwest Guangxi (Longzhou Xian, Pingxiang Shi), southwest Guizhou (Anlong Xian, Wangmo Xian), Hainan, southeast Xizang (Mêdog Xian), and southeast Yunnan), Sri Lanka, Nepal, Malaysia, Myanmar, Thailand, Viet Nam, Cambodia, Lao PDR, Korea, Taiwan, New Caledonia, Guyana and South Africa. Te species has been widely introduced and is considered a serious weed in agricultural crops. In India, it is found at an altitude of up to 1,400 m in the Western Ghats. Widely distributed in Kerala (Thekkady, Periyar Tiger Reserve, Palghat), Andaman and Nicobar Islands, Bihar, Gujarat, Goa, Karnataka (Udupi); Mizoram, Punjab, Sikkim, Tamil Nadu, West Bengal, Maharashtra (Ahmednagar, Akola, Amaravadi, Bombay, Chandrapur, Kolhapur, Nagpur, Nasik, Osmanabad, Pune, Raigad, Ratnagiri, Satara, Sholapur, Sindhudurg, Thane), Madhya Pradesh (Balaghat, Damoh, Dhar, Hoshangabad, Katni, Mandla, Panna, Rajnandgaon, Surguja) and Chattisgarh (Bastar, Bilaspur, Raipur) (Cook 1996, Lakshminarasimhan 1996, Khanna and Ram Saran 2001). 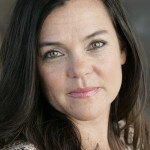 Want to align, create and actualize your vision?…Moving through a Transition ? Want to reconnect with your environment and the alchemy of food? Embrace the medicine of Essential Living Foods. This entry was posted on Friday, February 8th, 2013 at 7:50 PM. It is filed under Roots and tagged with Commelina diffusa, DayFlower, eol.org, geography of Commelina diffusa, iuncerlist.org, modern ghana, saint lucian plants, suzanne toro. You can follow any responses to this entry through the RSS 2.0 feed. You have got an awesome blog here! Would you wish to make some guest posts on my site? This is a really nice post! I feel very lucky to have used your website and look forward to more brilliant visits here. Definitely one of the best sites on the net! This was an awesome blog post, thanks for the info. I feel really grateful to have come across your site and look forward to more awesome posts here. Thank you for taking the time and for all that you create with mother nature. Send me an email and we can see what would be aligned. Thank you! This was a wonderful blog post, thanks for the information. This is one of the best websites I have checked out! Hello, i believe that i noticed you visited my site so i came to “return the desire”.I am attempting to in finding issues to improve my web site!I guess its adequate to use some of your ideas! !